As I mentioned in my last post, the sight of records spinning on a turntable at The Screening Room and in American Hustle made me feel reminiscent. I found my old Technics BL 220 turntable and a week later, after cleaning the dust off and replacing the rotted belt, I was ready to explore the dozens of 33 LP’s stored in crates in the basement. My kids will remember me sitting on the floor in front of the stereo and playing track after track of my records as relaxation. The advent of CD’s and now iTunes music has made that personal handling of the medium with little pops and crackles a lost pleasure, akin to the difference between reading a book on a Kindle versus holding it in your hand and turning real pages. 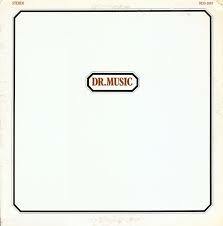 I beamed from ear to ear when I put on my favourite album of all time – Dr Music. This short-lived Canadian group had about 15 members in it and their tracks are all rich with harmonies and full instrumental arrangements. I enjoy every track on the album that was released in 1972 – 41 years ago(!). I was in medical school then, Pierre Trudeau was Prime Minister of Canada, Richard Nixon was the President of the U.S. but the Watergate arrests that led to his 1974 resignation happened that year. As a group, Dr Music lasted only a couple of years and then disbanded. 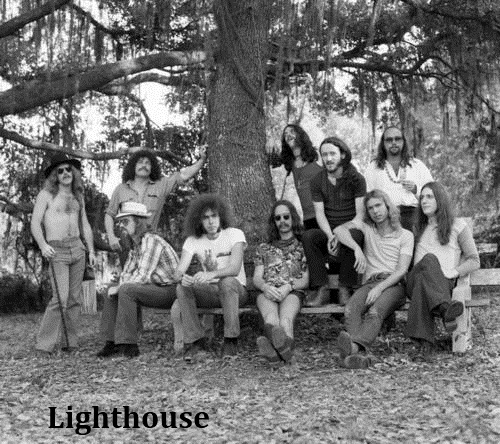 Some of the members moving on to another Canadian band – Lighthouse. One advantage of this digital age is that I was able to I look up the names of the several members of the 1972 Dr. Music band. I sent a brief note to Bruce Cassidy, who played trumpet and flugelhorn in both Dr Music and later in Lighthouse (and also Blood Sweat and Tears). He kindly responded with a photo of the band as they were going on tour in 1972. There are very few photos of this band online I was delighted to see this one and appreciate his response. I have ended up downloading some of his recent music, heavily influenced by time he lived in South Africa. 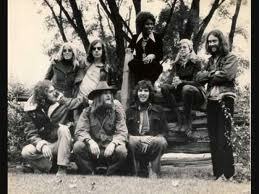 Photo of the Dr Music band heading off on a cross Canada tour in 1972. Supplied by Bruce Cassidy, one of the members of the band. I found the Lighthouse album as well, with songs like Sunny Days and One Fine Morning. And also discovered that the band, with many of the original members, is still playing occasional concerts. In fact they are performing at Hamilton Place at the end of this month. I have had a very enjoyable Saturday night listening to these and other old albums – the Beatles, Bob Seger, Fleetwood Mac. A blast from the past. Of course, this was well before the days of Music Videos. But here are a couple of Youtube links to some of the music. And have a look at the photo of Lighthouse above and see these guys still at it in 2012. Less hair but just as much energy and talent! This weekend I saw the last Oscar-nominated film that I had not seen yet – American Hustle. And that’s where it ended up in my list. Although it was entertaining and I loved Jennifer Lawrence -what’s not to love there? -the movie was a typical “sting-going-bad” movie in the same category as movies like Oceans Eleven ( or twelve, or thirteen or…) I did enjoy the 80’s music and resolved to get out my turntable and some old LP’s this week. I thought I should look up the soundtrack when I got home in iTunes but also realized that somewhere in my collection of LP’s and 45’s and CD’s I likely have all the tracks that were on the movie. It would work just as well as a Saturday night rental as on the big screen. 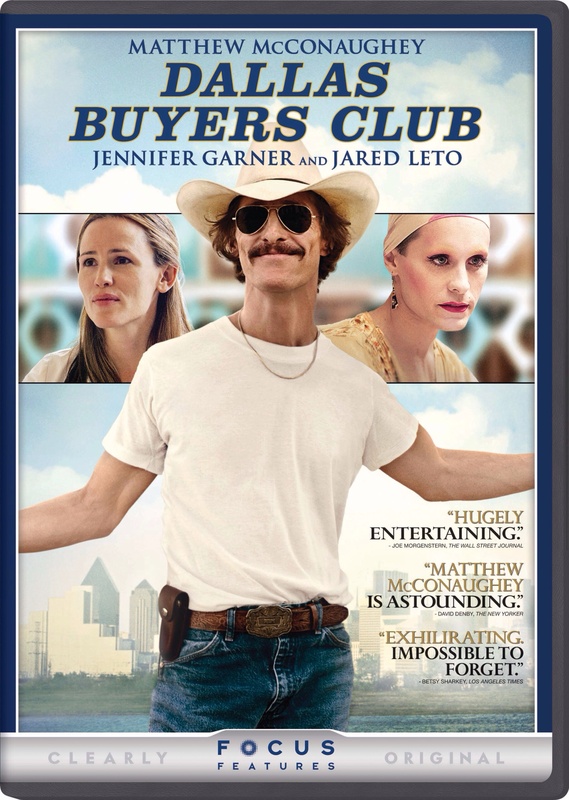 My favorite movie last year was Dallas Buyers Club. It didn’t have the epic and guilt-ridden theme of 12 Years A Slave or the glitzy technology of Gravity but I liked the performances, the story and the presentation. It is the only film in the Best Picture category that I have seen twice and would happily see again. I also really enjoyed Philomena and Nebraska but both of these were too understated to win votes. But good entertainment, nonetheless. 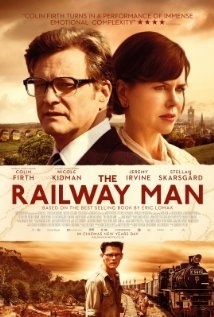 As I looked at the films on the Best Picture list, I wondered where The Railway Man disappeared to. I saw this film at TIFF in September last year and it had many of the elements of 12 Years without the Americana. It turns out that the film has not been released yet but will appear in theatres in North America in April. If you liked 12 Years, you will like this one too. It has many of the same elements. Part of the movie is set in a prisoner of war camp forced into hard labour (and torture) to construct the Thai-Burma railway in during the Second World War. The story, like so many in movies this year, is based on a true one and at TIFF the real Patti Lomax, who was played in the movie by Nicole Kidman, attended the Q&A along with Colin Firth who plays her husband, Eric. The story is well told, with some spectacular scenery shot on location at the site if the real railway in Burma. In the movie, as in real life I surmise, Lomax suffers from PTSD after his war endurances and eventually has to decide how to deal with his past by returning. No spoilers. See the movie.